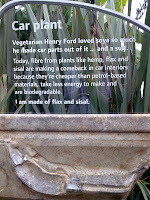 On a recent visit to the Eden Project I was interested to see how they use plastic. I can’t help it, I’m starting to notice it everywhere. 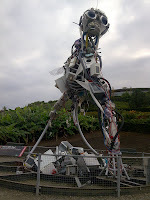 But the Eden Project was a real conundrum for me – there are some really interesting examples of where they are thinking about waste and plastic, and the opportunity to make the most of their waste and use alternatives to generally accepted practices. Here is the WEEE Man. 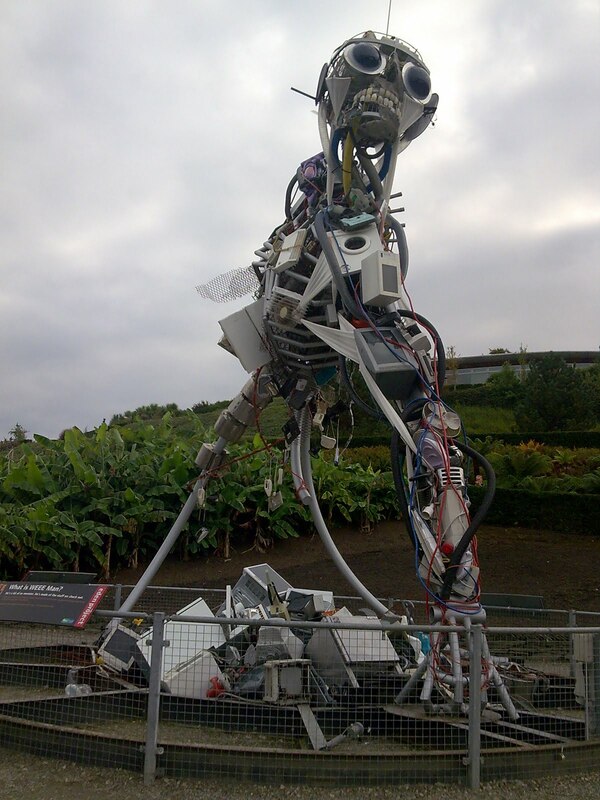 ‘WEEE’ is Waste Electrical and Electronic Equipment. He’s basically made of the electrical stuff we chuck away when it stops working properly, from mobile phones to electronic mixers, to washing machines. You may not be able to see it all that clearly from the picture, but a whole chunk of what he’s made of is also plastic. Pretty scary. I found this little display really interesting – a pity that it is tucked away in a part of the garden that I’m sure the majority of visitors miss. Picture yourself inside your car: how much of what you can see is made of plastic? So it’s interesting that designers are starting to think about alternatives – even if it’s mostly only from an economical point of view. So, lots of good things that Eden is thinking about and drawing our attention to. 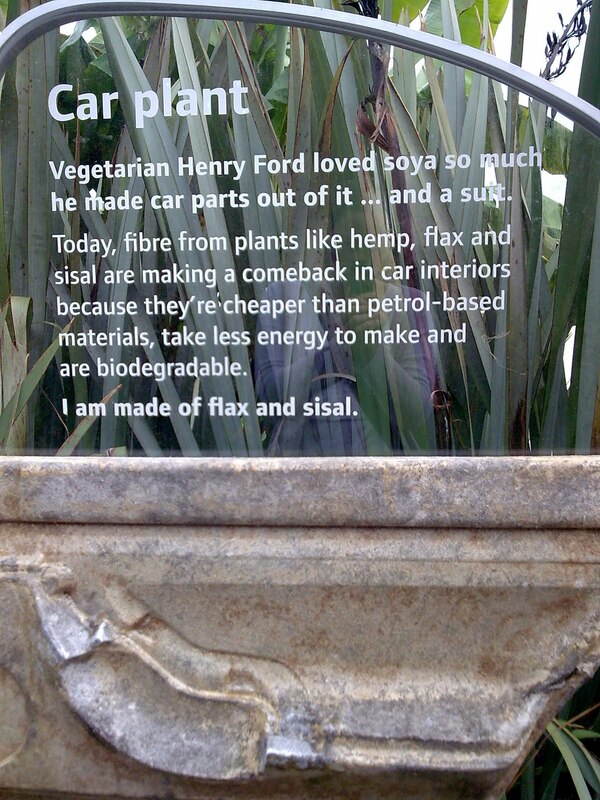 When you get to their shop there’s lots more examples of thoughtful and alternative ideas. But maybe the manufacturers haven’t entirely thought this process through. Here are just two examples. 1. The Eco Stapler. 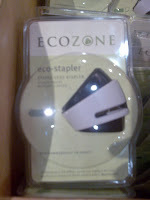 Doesn’t use staples and so cuts down on wastage. Great, but look at the amount of packaging they’ve put around it! 2. The Indy Bag. Encourage people to stop accepting plastic bags from stores, but take their own reusable ones. 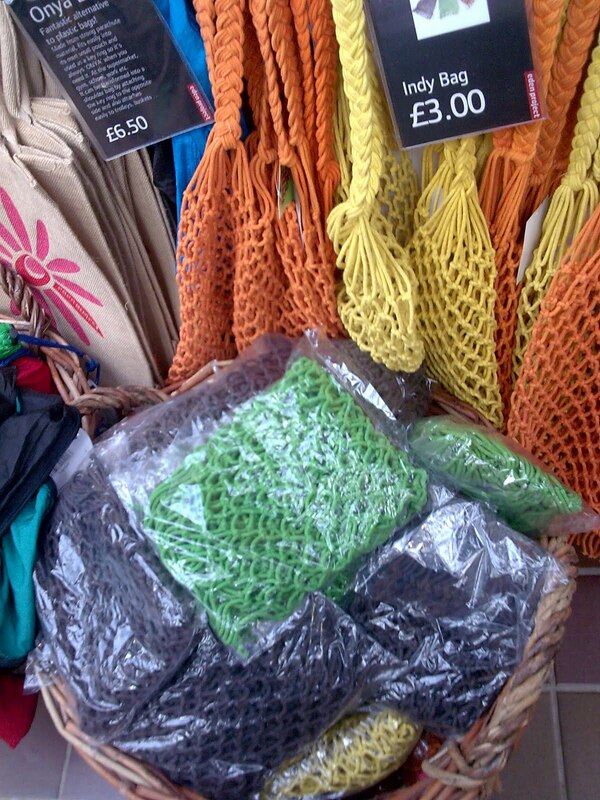 Great, but don’t sell them wrapped in a plastic bag! Not quite as ecological as they set out to be, methinks.